Choose your favorite elevation: The Lewisville - So many choices in this 3 bedroom, 2 1/2 bath two story home! Oversized Master Suite has Sitting Area that can be converted to a 5th Bedroom. Optional 4th Bedroom in Lieu of Loft has option for full 4th Bath. All standard bedrooms have walk in closets. Optional eat at kitchen island adds additional space for guests in the spacious kitchen and breakfast area. Second floor laundry room with the option for a laundry sink. 2 or 3 car tandem garage. 2 main level Guest Suite options. 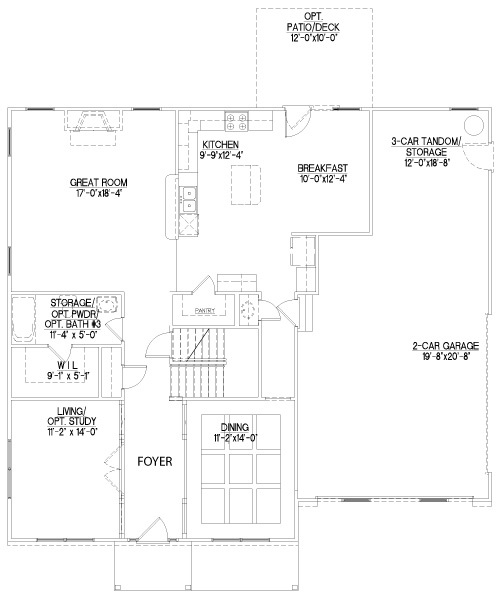 Keeping Room and Sunroom options. Too many choices to list!